Gone are the days when people used to fall in a line in the branch of a bank and wait for their turn for hours even just to get a tiny thing done. Today, most of your banking tasks can be done by tapping the screen of a smartphone. Surely, no one imagined such miracle a few years ago. 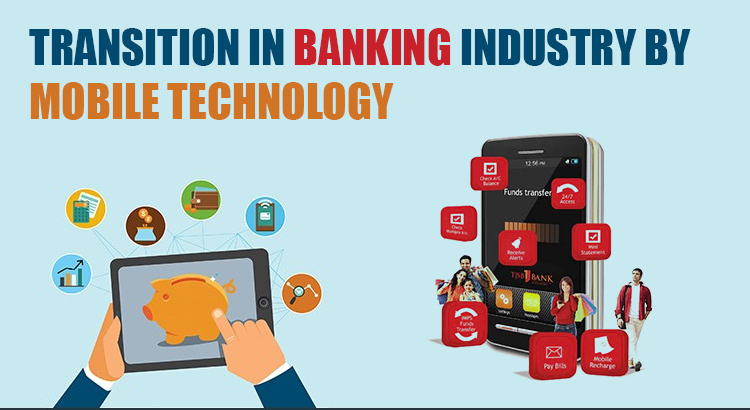 With the revolutionary devices like smartphones, we see the transformation in every sector, and the banking sector has immensely been influenced by this. With this convenient facility, there is a great change in our financial behavior. The prudent shift of the financial institutions from customer-teller transaction to customer mobile transaction indicates the drastic change. Everyone in today’s fast-paced world wants their tasks to be done instantly; hence, the tedious task of visiting a bank is replaced by mobile and internet banking. The best part is that it is extremely convenient as well as out of the time constraints that a branch generally follows. This big change also guided all the financial institutions to establish platforms much convenient for the customers to operate. With the massive surge in the use of smartphones, people love to perform most of the tasks, especially related to banking on their handsets. A recent study revealed that an estimated number of over 70 percent of the smartphone users prefer mobile or online banking to conduct their banking transactions. The interface of your site/app plays a crucial role in not only attracting the users, but also keeps them linger there for long. An attractive and class apart interface always becomes the reason for fueling the rapid growth of smartphones and its usage for mobile banking. Making the complex task of conducting financial transactions by the customers themselves should be the major aim of any interface related to banking sector. With this initiative, banks across the globe have managed to save a huge amount of money they generally used to spend on new branches and maintaining the staff there. On the other hand, establishing platforms for mobile or internet banking capable of performing banking transactions and other tasks have really been proved a much cost-effective route comparatively. The traditional constraints including time, location and so on are eliminated by this handy alternative of mobile or internet banking. Such easy functionality with a huge convenience of easy access has given a boost to the reach of the customers to embrace banking services widely. One of the major tools is used to get the loyalty of the customers consists of enhancing customer convenience. With the easy access to their financial status, they feel more empowered. Financial institutions including banks like JP Morgan, M-Pesa, La-Caxia and Monetise always kept their focus on designing products, which are much able to make their own space in the customer segment, however, embracing online/mobile banking as a latest technological platform is being perceived as a competitive leverage. This element assists the service providers to better position themselves in the market. Shutting down physical locations by financial organizations is considered as a move to scale back jobs and have less access for customers who still choose physical banking over internet and mobile banking. As per an estimate, the number of mobile banking users may touch the 1 billion mark. It indicates that these institutions must focus on how they can improve and interact via these new platforms and keep up the demand.